Available for Android and Apple mobile devices, the FMA is available from the Apple App Store or the Google Play Store for download to your Android or Apple devices. 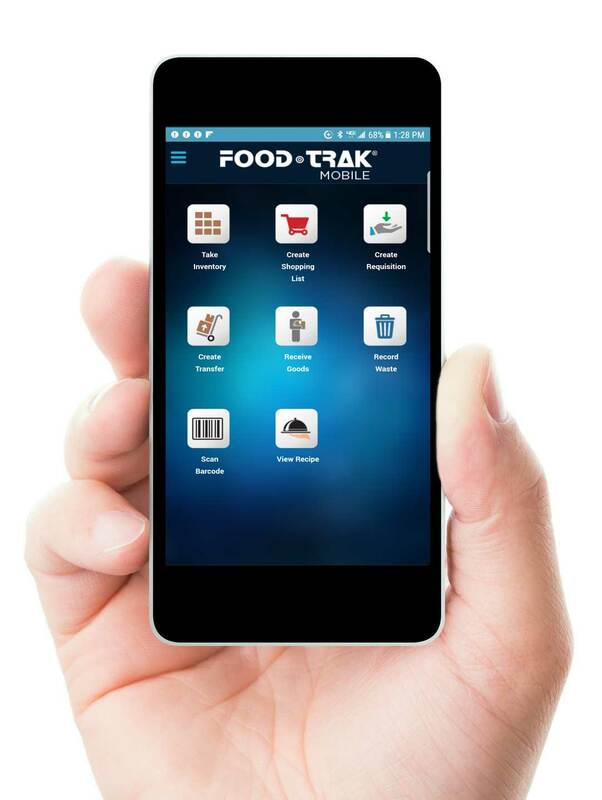 The app connects directly to your in-house or hosted FOOD-TRAK System over WiFi or cellular connection. With screens similar to the FMP, but with no need to synchronize, the FMA provides all the key data collection forms and even more functionality. Take inventory, create requisitions and transfers, receive goods – all with your smartphone or tablet! Easy to learn and fun to use, it also provides bar code scanning using the built-in camera, document printing, recipe viewing and much more.